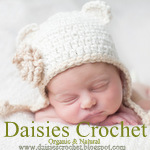 Daisies Crochet: Pattern "Versatile Beanie Hat" 8 sizes. Versatile Beanie Hat is universal beanie for boys, girls and adults! 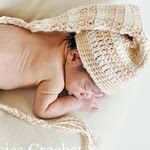 I use soft, 100% organic cotton grown and spun without the use of pesticides, herbicides or other chemicals. 8 pages, 3 photos. 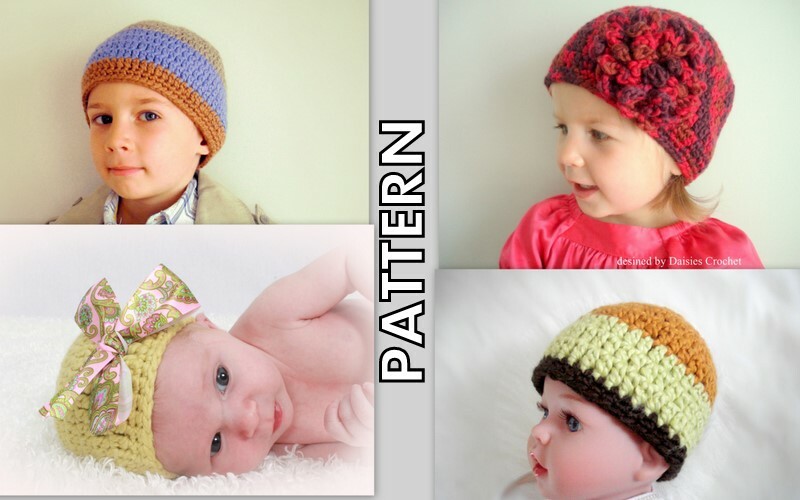 Pattern for flower is included. sl st - slip stitch, FLO - front loop only, BLO - back loop only, increase, work in rounds.